Fits 2015-2019 Ford Mustang, 2013-2018 Focus ST, 2016-2018 Focus RS, and 2014-2019 Fiesta ST with Manual Transmission. 6-speed, Upper Left Reverse Pattern and M12x1.25 Thread Size. Does not fit GT350. 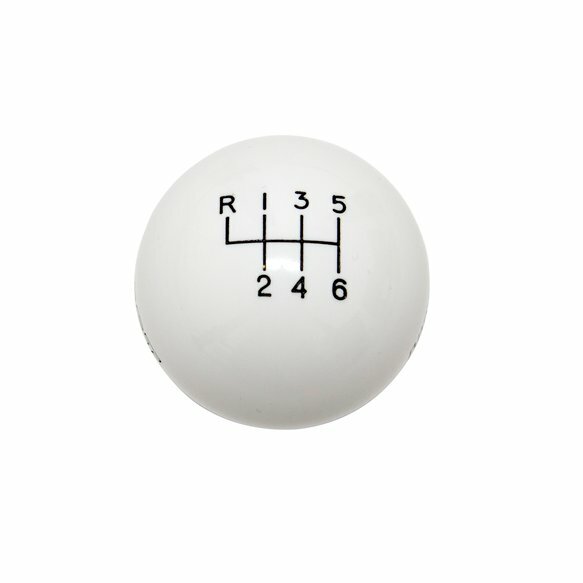 Hurst's new white shift knob fits all 2015-19 Ford Mustang, 2013-18 Focus ST, 2016-18 Focus RS, and 2014-19 Fiesta ST with 6-speed manual transmission and is a quick and easy way to add a performance look to your ride. This 2.25-inch diameter white shift knob feels good in the hand and features the correct Ford 6-speed shift pattern in plain view with the iconic Hurst name engraved on the sides. 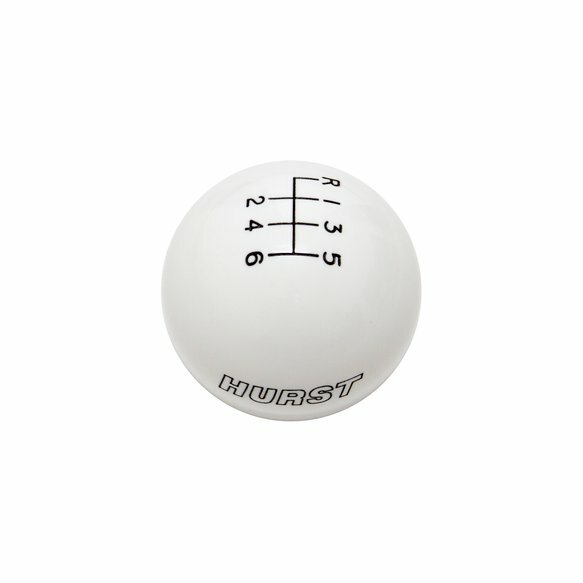 The bottom of the knob features a large pocket recess to accommodate the factory reverse lockout button and features a Lifetime Limited Warranty. Notes: M12 x 1.25 thread size. Does not fit the GT350.